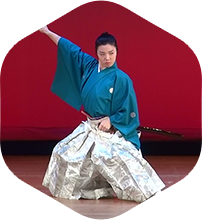 “Kembu (Gin’ei-kenshibu)” is a traditional Japanese stage performance art that utilizes the Katana (traditional Japanese sword) and Japanese fan while expressing the poems that were mostly written by samurai. In feudal times samurais performed Kembu to give themselves courage or to achieve mental concentration. In the movie "The Last Samurai" you can see the actor performing Kembu on the day before the battle. 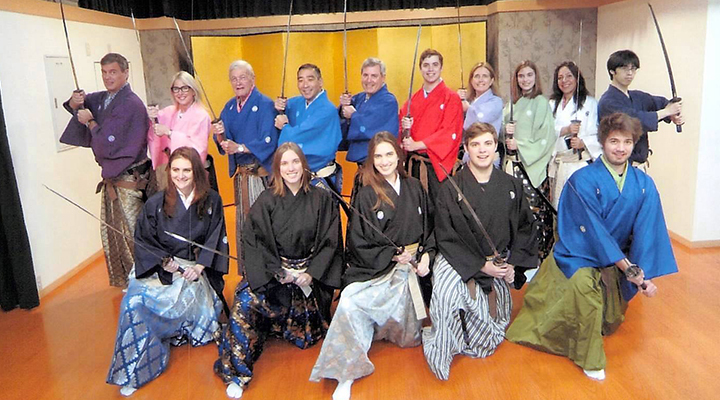 Samurai Kembu provides an authentic Samurai experience programs both in Kyoto and Tokyo. Here is your chance to step into the shoes of samurai and experience the cultural heritage of Japan! 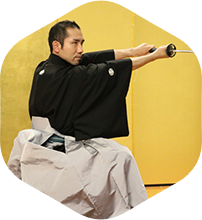 An authentic course which allows you to experience the Samurai Spirit through performing “Kembu”, a traditional Japanese art. 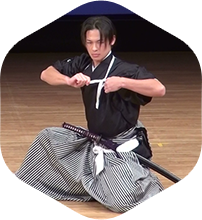 Learn basic techniques of “Kembu” such as handling a Japanese sword, performing slashing techniques and some simple samurai actions. 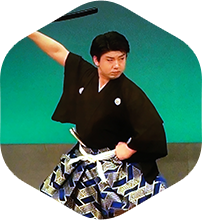 You can also learn how to handle a Japanese fan and the way of bowing and walking in traditional arts. 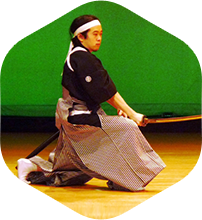 Compete your session with perform with your sword on stage, accompanied by a song of a poem written by a samurai. There is some time allocated for picture-taking after changing into the costumes. 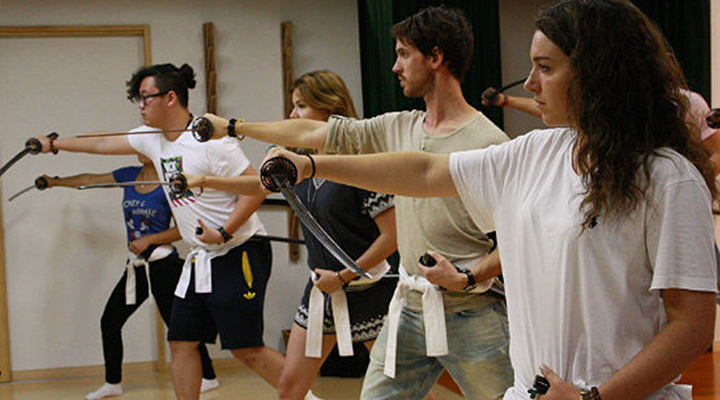 The instructor will help you with some cool Samurai poses. 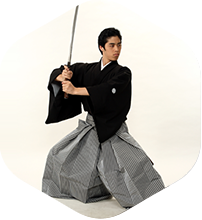 You can learn about, and practice, some aspects of the etiquette of samurai classes as well as practice basic kembu, including how to use the Japanese sword. We have many outfits (Kimono and Hakama) used in actual “Kembu” performances available during the workshop. Feel free to choose whichever you prefer. 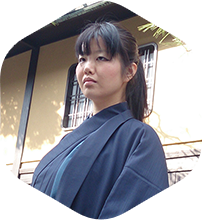 We recommend the gold-brocaded Hakama for those who want to try something special. There is some time allocated for picture-taking after changing into the costumes. 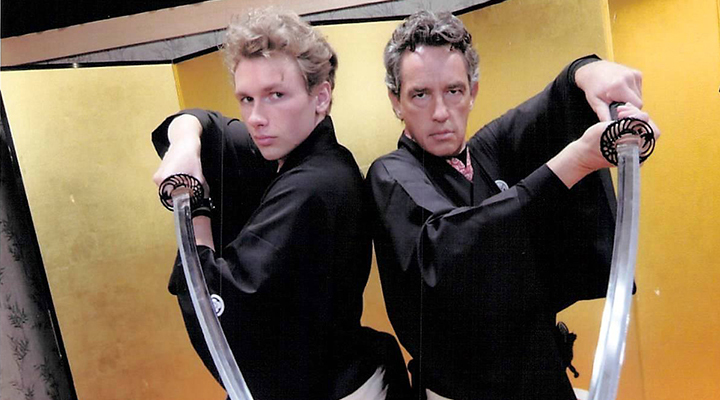 The instructor will help you with some cool Samurai poses. The one hour stage show is performed by our kembu masters. You can satisfy your intellectual curiosity with in-depth talks. *This program is provided only at the Kyoto theater. At the Tokyo branch, you can book an optional 15-minute performance instead if you book a Full lesson or Light lesson. If you are a Japanese resident, you are welcome to enter our Kembu school. *We do not accept online reservations. Please contact us by E-mail. 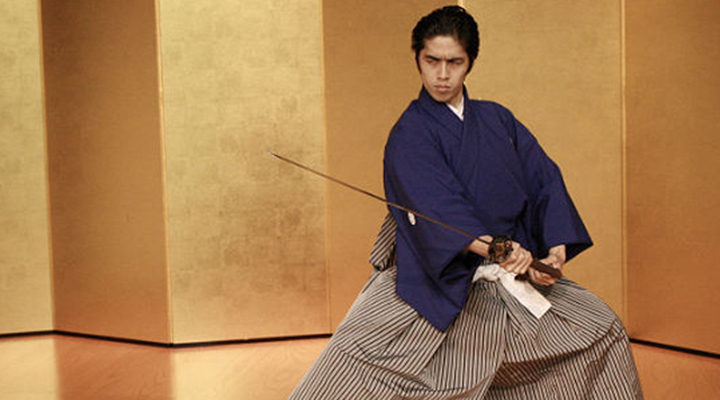 This is a must-do experience for anyone that wants to learn about samurai. This was one of the highlights of my trip to Japan. The staff was friendly, spoke great English, and was very knowledgeable. My father and I opted for the full lesson with costumes, and had a great, fun time. The costumes were gorgeous and we were able to take a lot of pictures. I really can't say enough good things about this place, you should go and experience it for yourself! Today's samurai class was an absolutely amazing experience. We were dressed up as Samurai and learnt sword striking techniques. At the end of the class we even performed and recorded an exert from a famous Japanese poem - great memory! You should definitely book the full class. Born as a grandchild of the grand master of SEGIA Kembu School. Founded Samurai Kembu Co. in 2014. Born as a child of the grand master of SHOTEN-SHINDORYU Kembu School. Started training Kembu at SEIGARYU Kembu school in 1994. Obtained the title of 'Shihan'(Master) in 2014. Started training Kembu at HOKUSHIN-SHINOURYU Kembu school in 2000.
at SEIGA Kembu school in 2011. Obtained the title of 'Jokyoshi'(Assistant instructor) in 2016. Obtained the title of 'Jokyoshi'(Assistant instructor) in 2017.